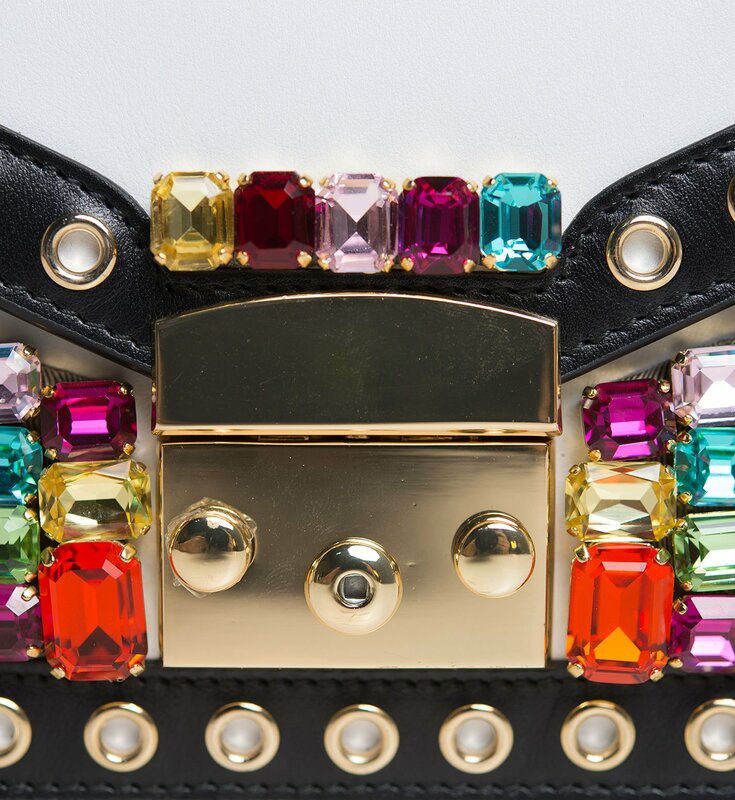 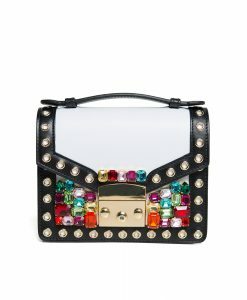 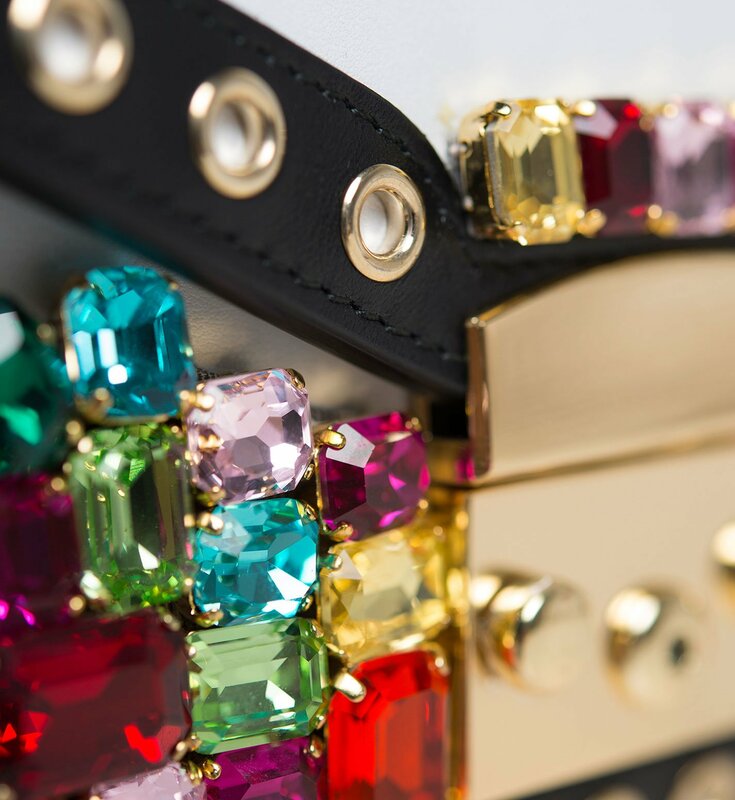 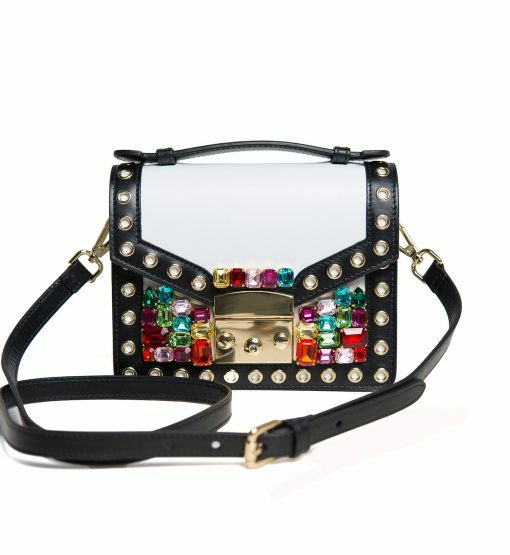 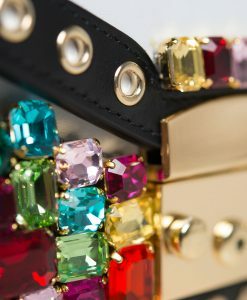 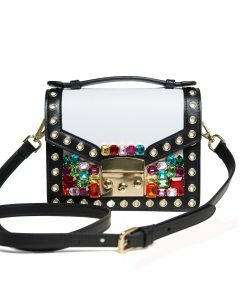 Accented with sparkling multicolor ctystals, GEDEBE’s mini ‘Chelsea’ bag is one of our favorite bags of the season. 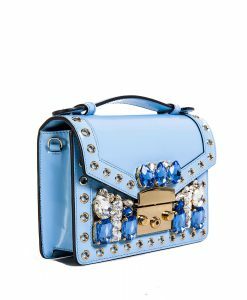 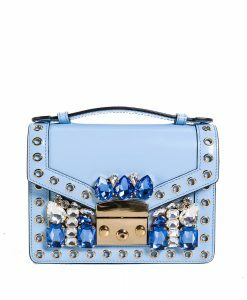 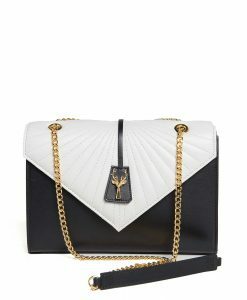 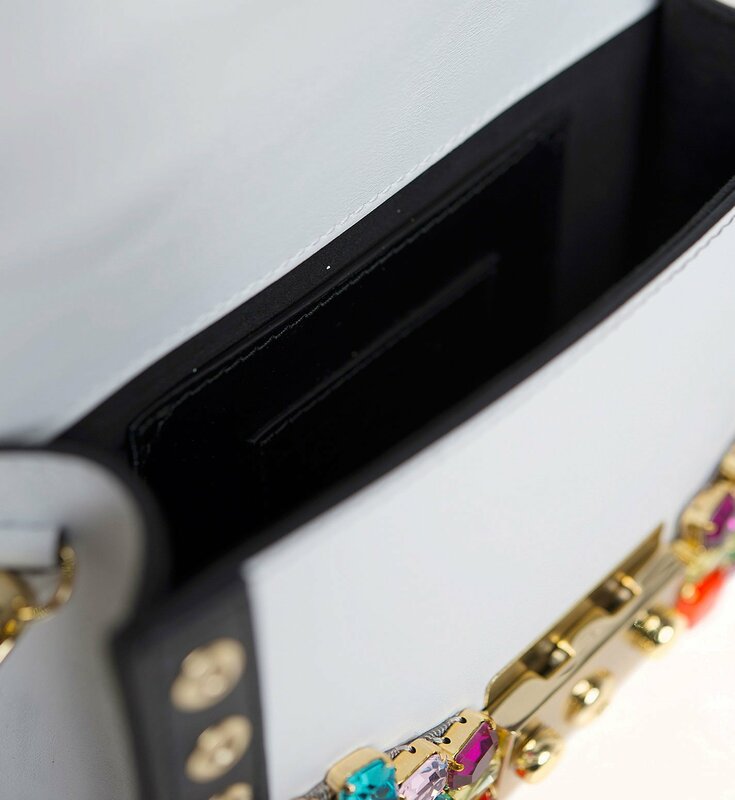 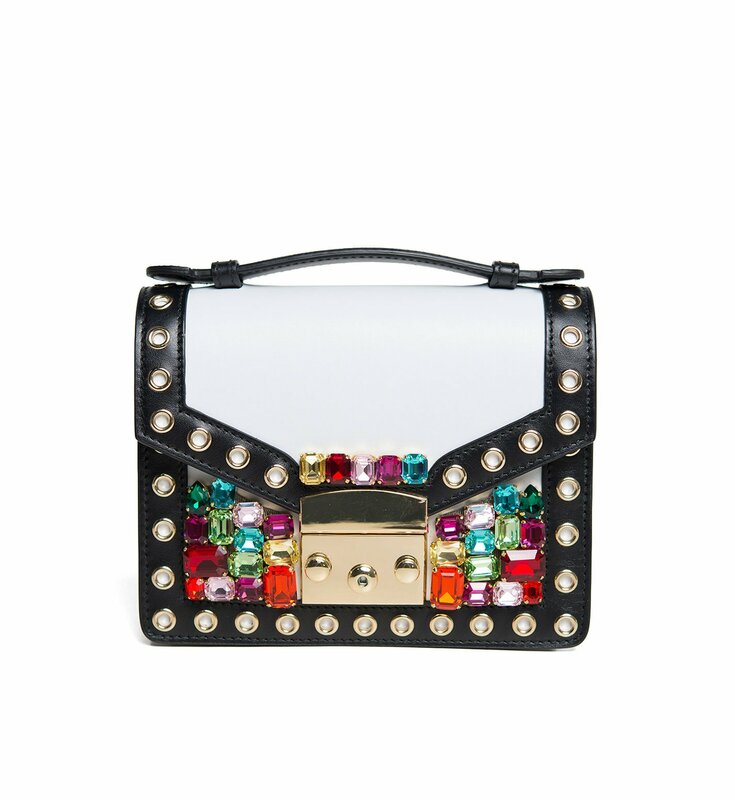 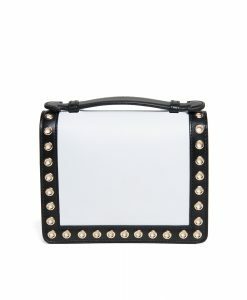 This Italian-made structured style is crafted from versatile black and white leather and is embellished with the brand’s iconic crystals and golden click front closure which makes this bag looks a small jewel. 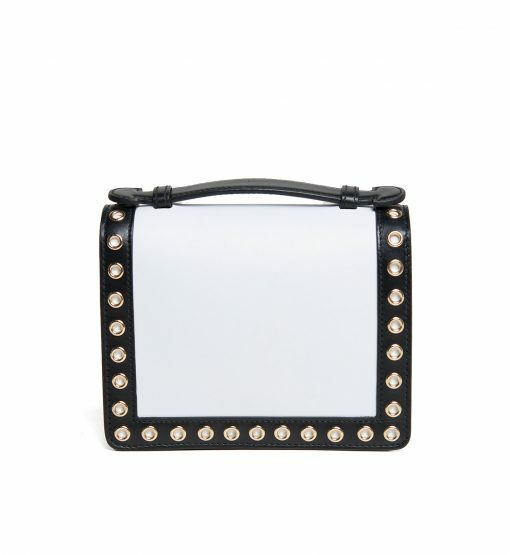 The interior is perfectly sized for your cell phone and keys. 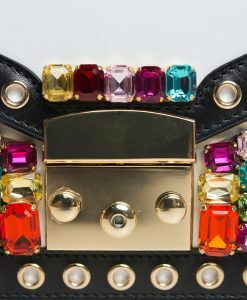 Adjust the removable strap for a comfortable wear.